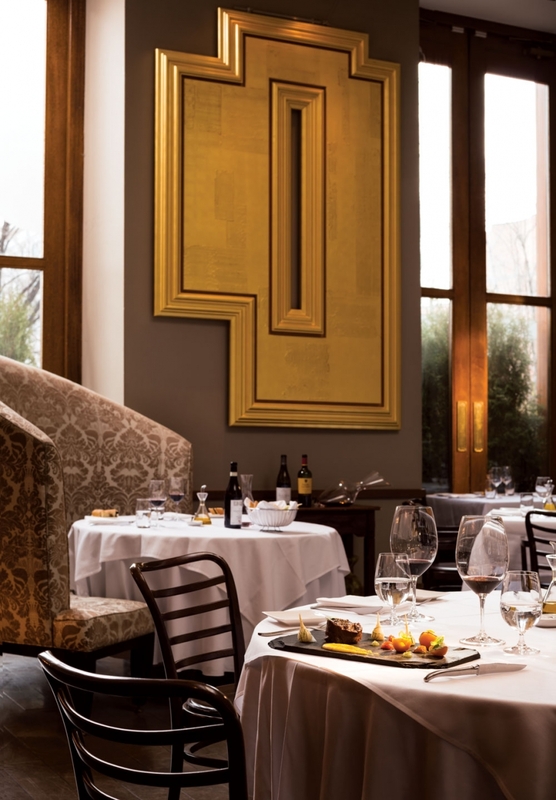 Let this list of classic and contemporary Italian spots be your guide to good eating. Perhaps still the best-kept Italian secret in the city, if you’re not looking, you can easily speed right by the restaurant on 9th Avenue S.E. when you’re entering Inglewood. When you have a moment to slow down (or stop), pop inside to find a big, bright room with an open kitchen and a menu with a lot to choose from. Keep it comforting and simple with a warm bowl of house-made gnocchi tossed in tomato sauce and basil over a snowy lunch hour. If you are feeling a little more adventurous during dinner, try the chef’s tasting menu (available in three, four or five courses) to get a little edible tour of Italy. Built into a tiny house right on the corner of 4th Avenue and 8th Street S.W., this is one of the coziest Italian restaurants in all of Calgary. Here, you’ll find old-world Italian charm, from the service to food that’s as classic as it comes. Thick melon slices wrapped with prosciutto, minestrone soup and the spaghetti carbonara are guaranteed to warm you up when it’s less than lovely outside. This well-kept secret of the burbs has that neighbourhood-restaurant feel, with a large menu that focuses on tried-and-true traditional dishes, especially pasta and pizza, that offer few surprises, but few disappointments, either. It’s the kind of place that keeps regulars coming back for comfort food with easy Italian flavours – that and two-for-one pizza on Monday nights. It also has a substantial takeout menu. Bright and fresh are two words that come to mind when describing Bocce, both in terms of the food and the ambiance. Why, even the menu is perky! This modern, casual Mission eatery offers whimsical takes on appetizers, salads, pizzas and pasta dishes on its relatively small, but well-honed menu. It’s great for large groups and casual dinners before a hockey game. Grilled fish with seasonal vegetables. 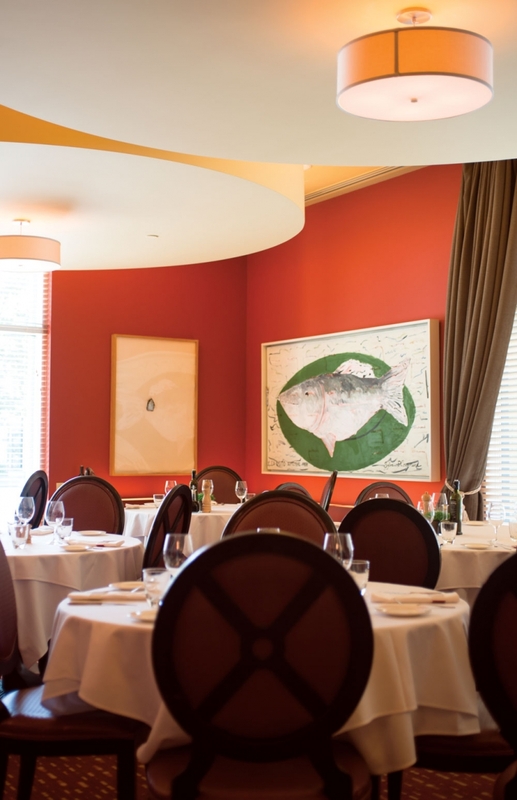 Long before its children were born – Cibo, Posto and Scopa – Bonterra ruled the roost in Calgary’s contemporary Italian dining scene, serving its refined cuisine to a full dining room night after night since 2000. While you’re deciding what to eat, the restaurant’s complementary bread should be promptly devoured. Those thick pieces of focaccia are worth fighting over. Whether you’re craving a bowl of the tagliatelle con vongole, brick-roasted chicken or even a traditional caprese salad, rest assured Bonterra will have the perfect wine pairing waiting for you in its impressive wine cellar. 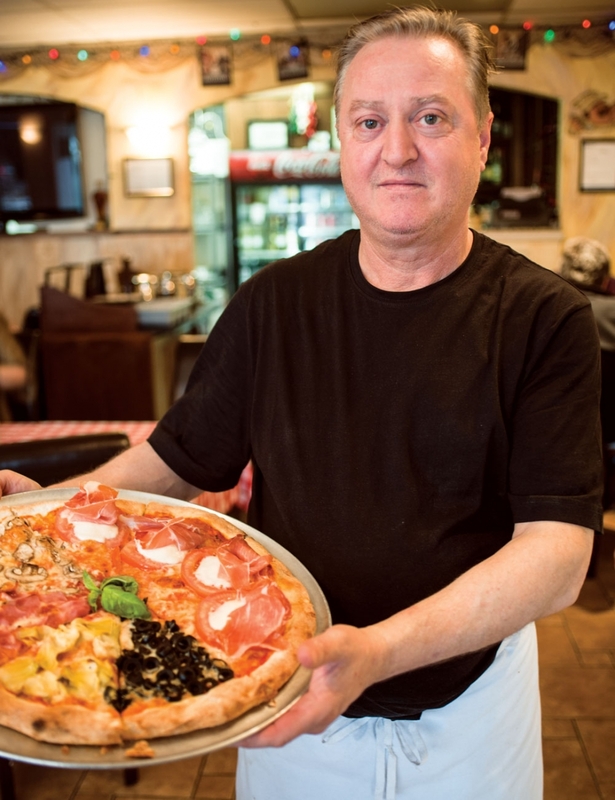 If binge-watching episodes of The Sopranos on iTunes makes you crave a certain type of Italian food, then look no further than Buon Giorno, a family-run restaurant that has made its home on 17th Avenue S.W. for 27 years. Dark wood-panelled walls and checkered tablecloths provide the backdrop for classic Italian cuisine served with a feeling of warmth and old-school authenticity, with none of that whole Mafia thing. With chef Fabio Centini preparing fine, modern cuisine in the open kitchen and a service staff professionally trained to make your meal exceptional, you are practically guaranteed an elegant dining experience at Centini. Dishes are prepared with fresh, local and seasonal ingredients and presented with careful attention to detail. The extensive wine list is, not surprisingly, heavily weighted toward Italian, and, with multiple dining rooms, the restaurant can accommodate special-occasion dining for groups of various sizes. With its two-level dining room, massive open kitchen and beautiful patio, it’s hard to imagine this space was once the largest Rogers Video store in Western Canada. History aside, there’s a lot to love when you’re eating here. For starters, there’s the scodellina (try the roasted eggplant and gold beets, in particular), crispy polenta fries and lamb meatballs. Move on to more filling plates like the beef, pork and mushroom ragu ravioli or spaghetti and meatballs for two and you know you won’t be leaving hungry. Oh, and don’t forget about Cibo’s work-week half-price pizzas from 3 to 6 p.m.
Teatro’s more-casual sister restaurant wears a couple of different hats, functioning as a grab-and-go caf on one side during the day and a full-service bistro on the other. While you can’t go wrong with either situation, sitting down will allow you to experience consistently lovely service, breakfast (wild mushrooms and eggs on toast! ), lunch (Silver Sage beef osso bucco!) and dinner (rotisserie chicken then tiramisu for dessert!). 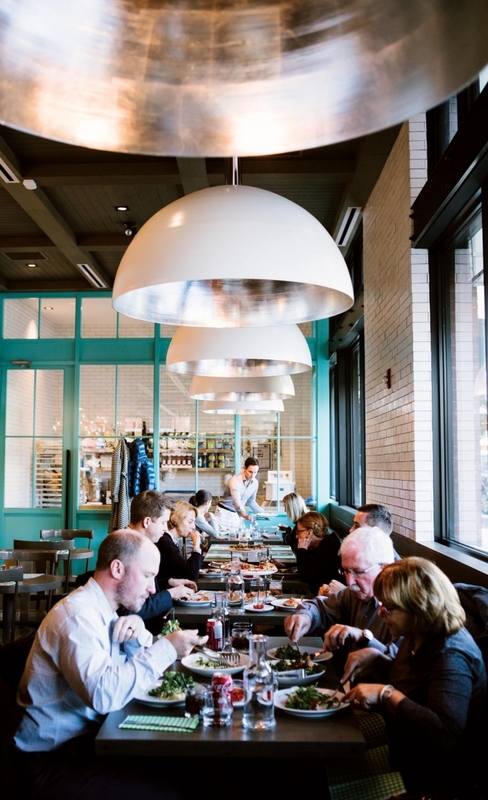 Pro tip: Cucina is busiest during the day, so either make a reservation ahead of time or aim to walk in for dinner. Open since 1984, Da Guido is a proper old-school restaurant, through and through. Expect a vintage look inside and the comforting smell of tomatoes and garlic forever wafting out of the kitchen. Naturally, this classic eatery dishes out traditional Italian soups like fagioli and stracciatella and a long list of pastas from carbonara to puttanesca and everything in between, but one thing that sets Da Guido apart is the risotto offerings, served four different ways. Restaurants in Italy are notoriously erratic and frequently hard to find, so, in that respect, Il Centro is maddeningly authentic. On the positive side, so is everything else at this Roman trattoria, with its lively atmosphere, casual decor, unfussy, flavourful food and easy-drinking wine menu. The 40-odd-seat restaurant is usually filled with regulars. If you’re a first-timer, you may feel like you’ve barged in on a private party, but you haven’t; it’s just that kind of place. So call ahead, make a reservation and join the party. Rack of lamb at La Brezza. Bridgeland is ground zero for Italian dining in Calgary, and La Brezza is right in the heart of it in a small bungalow on 1st Avenue N.E. While the menu is traditional, its beginnings are not, exactly. Somali-born Marco Abdi (who passed away in February 2015) came to Calgary from Italy, and, shortly after he arrived, met Filomina, the woman who’d become his wife, on the No. 9 bus. Now, almost three decades later, with Filomina Angela as the chef, the restaurant is still capturing the essence of fine, but not-too-formal, Italian dining. Some neighbourhood restaurants get by just on their convenience factor. Not this one. The menu at this restaurant in Avenida Shopping Centre is large, but not too large, and it’s focused, with excellent presentations of pasta, veal, chicken, fish and other proteins, plus a tiramisu dessert that’s particularly noteworthy. The restaurant opened in 1988 and it still retains a certain ’80s vibe, which is charming, albeit dated. Located in a small strip mall in the northeast, this restaurant with its unassuming exterior is easy to miss, but, inside, the family-run restaurant is quaint, casual and worth seeking out. Families with children are made to feel welcome, an experience that can be hard to find these days, the food is good – especially the calamari appetizer – and presents excellent value. Owners Annie and Dang Vien may be Vietnamese (hence the name), but the food feels like it came straight out of a nonna’s kitchen. Originally located in a small space on Kensington Road N.W., the restaurant recently expanded into the space formerly occupied by the North Hill Diner on 16th Avenue N.W. If the food wasn’t so good, you might be turned off by the dated interior, but as soon as your heaping portion of pasta (made fresh in-house) arrives, all is forgotten. Great service, great flavours and great value keep its regulars coming back. a hockey game or concert – or anytime, really. Once you’ve strolled around, picking up some great import items like boutique balsamics, red Cerignola olives and San Marzano tomatoes (don’t forget those! ), what’s left to do but eat? The cafeteria inside Lina’s is all about quick, casual Italian comfort food. Order a panini, loaded with meat, or a plate of Italian sausages and beans to get your fill of no-fuss food made with love. One of the most consistently excellent (and busy) Italian restaurants in the city, both locations attract a very loyal clientele who keep coming back for their fix of perfectly prepared pastas, meaty secondi courses (bistecca alla Fiorentina! ), a refined wine list and superior service. Sophisticated, modern and lively, with plenty of dishes perfect for sharing, this restaurant covers all the bases: business lunches, group get-togethers or romantic dining. A cozy, intimate venue on the edge of Kensington’s main strip, Niko’s Bistro serves several appetizers, salads, pastas and Italian entrees and has impeccable service. Its claim to fame is the calamari – it’s light, crispy and served in a spicy tomato sauce – and the penne con vodka and spaghettini aglio e olio are also must-tries. This fine Italian dining restaurant, owned and operated by the Terrigno family, has occupied a prime spot in the heart of Kensington for more than 15 years. 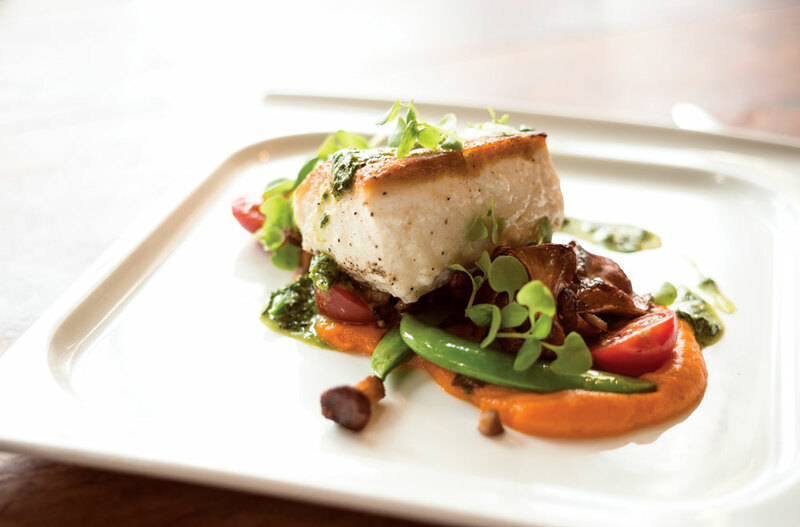 Chef Rocco Terrigno has more than 40 years experience working in kitchens around Europe and North America, and his experience shows in the rustic, but elegant dishes his kitchen delivers. It has four private dining rooms, making it perfect for private gatherings. Who says having some good Italian means sitting down and staying awhile? This sandwich institution in Kensington has been around for more than 20 years, and Calgarians’ love for its sandwiches is an undying one. 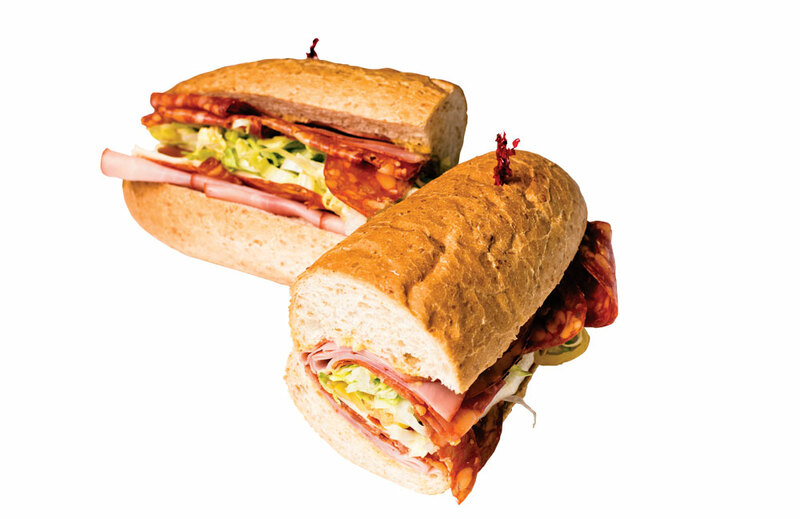 Meatballs with marinara, chicken parmigiana, meat loaf, capicola – you name it, you can get it in a submarine roll. To say Peppino hasn’t changed much with the times isn’t really true because it now happily offers a gluten-free bun option. 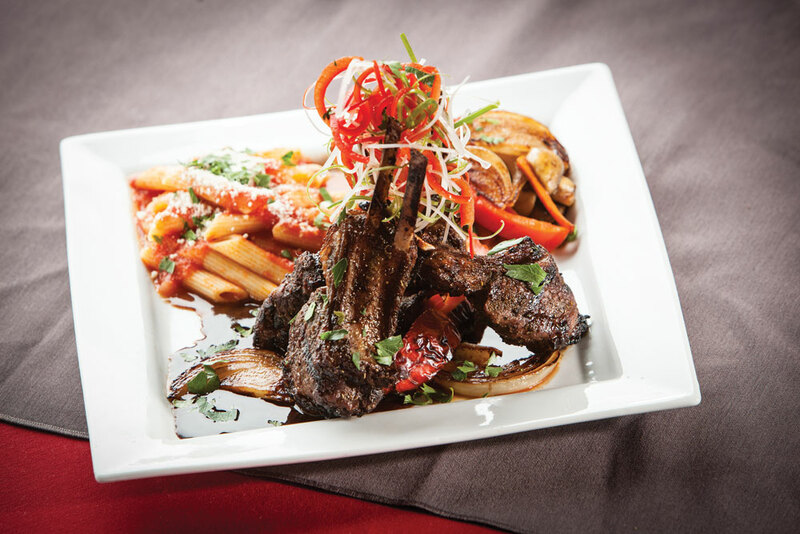 Bonterra‘s next-door neighbour often gives it a run for its money with its lively atmosphere and equally delicious food. There’s nothing wrong with a little sibling rivalry though, right? 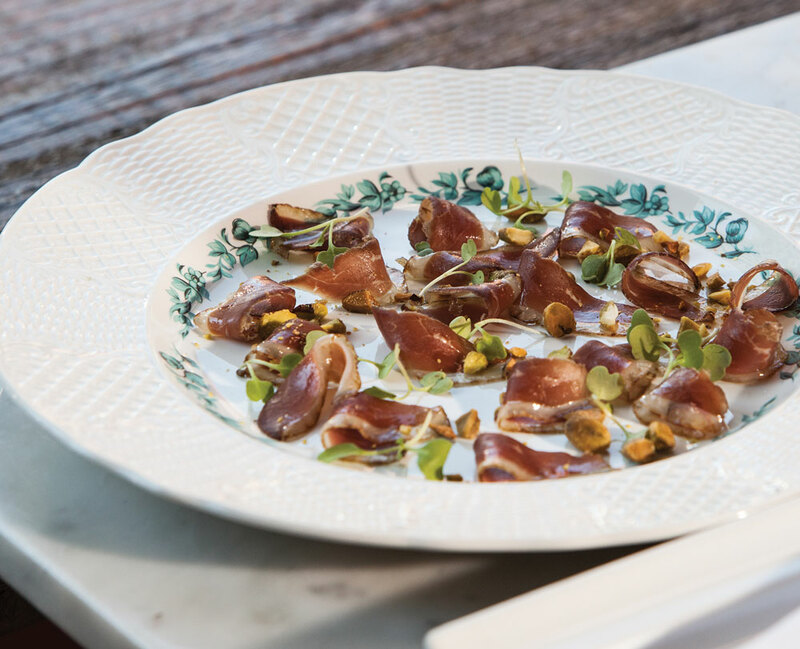 The pizza often steals the limelight here at Posto, and for good reason, but there are plenty of other contemporary dishes to look forward to like the swordfish bresaola or chef Ben Mills’ creative goose prosciutto cured with star anise and cinnamon for a one-of-a-kind taste. Then there’s the octopus with bone marrow and parsley calabrese, the romaine salad with pancetta, anchovy and egg and “flavour of the month” housemade meatballs. Straightforwardly Italian, this restaurant tucked away in a second-floor corner of Eau Claire Market is big with the downtown lunch crowd. Evening attracts a quieter crowd and has a more romantic vibe. Service is professional and accommodating – if you’re not sure what to order, put yourself in your server’s capable hands or you can never go wrong with the chef’s special. Formerly called Sandro Pizzeria, the restaurant renamed itself Rea’s after a massive fire in 2009 all but destroyed the place, much to the disappointment of its many regulars. But all was restored, including the original menu and painted murals on the walls. Service is fun, playful and casual, and the vibe is one of an intimate dinner party of close friends and family. The food is outstanding, homestyle Italian with especially good pizzas, making it worth seeking out. Reservations are a must. Located in McKenzie Towne, this intimate restaurant is suitable for an upscale casual bite with more character than your typical suburban restaurant. 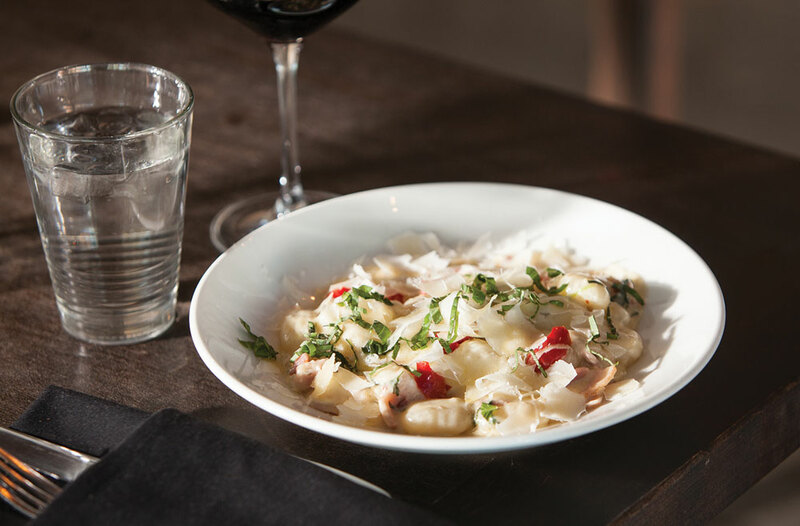 The menu is smallish, but well-conceived, with contemporary takes on basic Italian classics. It offers daily deals like $10 pasta on Sundays and Mondays and half-priced wine on Wednesdays, making it a great go-to any night if you live in the south or don’t mind the drive. When the folks at Scarpone’s aren’t busy shipping Italian imports to grocers across the country, they are busy cooking away in the retail store in Calgary’s northeast. Heading here from downtown can be a bit of a drive, but once you walk in and are welcomed by the sweet smells of lasagna, eggplant parmigiana and panzerotti (imagine a deluxe pizza in calzone form), you’ll know the drive was well worth it. It’s a struggle to find a flaw with this neighbourhood Italian eatery. The food is refined, the price is right, the atmosphere is great for anything from a date to a larger family meal and – perhaps best of all – there is no shortage of (free) parking. At Scopa, the spaghetti carbonara is a must-order, as are the arancini. One bite and you’ll be hooked. Walk by the deli with more than 600 types of meat, cheese and antipasti to get to this casual, cafeteria-style Italian hot spot. It’s the caf within the Italian Centre Shop where you can get made-to-order panini, pizza and salads. The caf opens at 7:30 a.m., which makes it convenient for morning Kimbo espresso and Sicilian canoli at one of the handful of tables. This tiny house/pizza place on Italian-restaurant row in Bridgeland has a big pedigree. The Stromboli Inn was first opened in 1972 by Joe and Teresa Tudda. It was reopened in its current location in 2013 by son Peter, who has upheld the traditions of casual, delicious food in a friendly and easy-going atmosphere. Quietly elegant and consistently good, this Inglewood spot offers all the quality of fine dining with none of the pretension. And a recent renovation makes it all the more lovely. The grilled romaine Caesar salad is one of the best in the city and the pastas are always perfectly al dente, just like in Italy. Grand interior, impeccable service and wine program aside, what has really set Teatro apart from other restaurants in the city over the years is its tasting menu. An eight-course experience that lasts close to three hours can be as whimsical as it is delicious. Executive chef Jason Barton-Browne loves to find a balance between comfort food and modern visual presentation, so expect all of those warming flavours you crave in winter as you bite into every beautiful course. Red-checkered tablecloths, a tall vase with a rose on the table, ivy on the walls … you get the picture of what this restaurant in Hunterhorn Plaza in the northeast is all about. With most pastas priced in the mid-teens and hardly anything over $20, you’ll wonder how they can put out such quality food at such great value. But why wonder? Just go there, eat and enjoy. With all the usual Italian suspects on the main menu, plus a kids’ menu, many gluten-free options and daily specials, this restaurant in Heritage Plaza just off Macleod Trail S.E. is great for a quick bite or a large-group get-together. It has a bit of a cafeteria feel, with a chalkboard menu on the wall and the open lounge showing sports on TV, so it doesn’t exactly scream Italy, but portions are large, service is efficient and a good time can be had by all. Most people head to Kensington for a casual bite and a beer, forgetting there is a little Italian gem waiting for them on 10th Street N.W. Chef Jenny Chan’s menu is especially fitting in the cooler months, offering up dishes like house-made gnocchi with gorgonzola cream and seafood stew with a saffron tomato broth. The calamari and artichoke frito is also a nice spin on the traditional appetizer, finished off with a bright kaffir lime aioli. 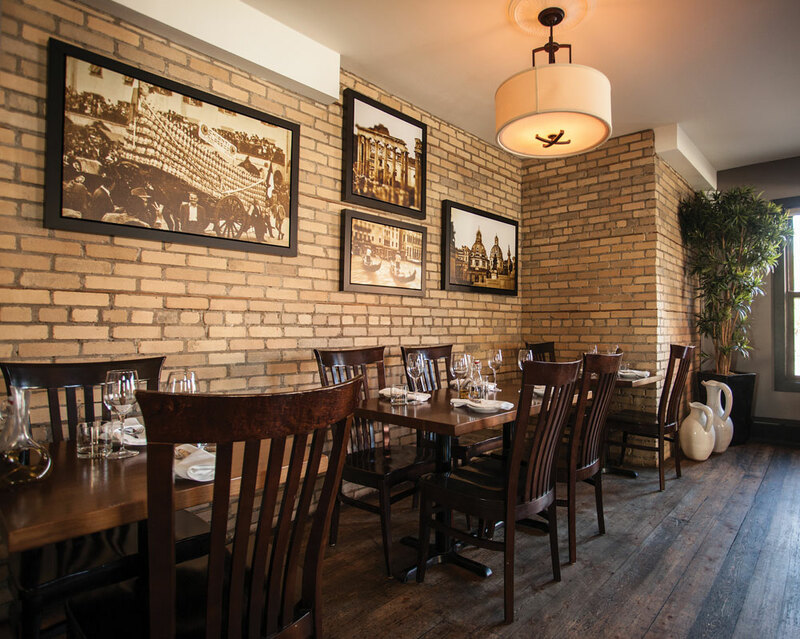 The Tudda family, who also established the Stromboli Inn, opened Villa Firenze in 1991 in, not surprisingly, Bridgeland. In contrast to Stromboli’s casual pizzeria, this restaurant offers an elegant, old-school Italian dining experience and its signature dish, the creamy portabella mushroom appetizer, is as delicious and decadent as it gets. Mentaiko spaghetti with scallops and squid. Sometimes, places don’t fit a dining category quite right, but simply can’t be ignored. The fusion cuisine of Carino and Carino Riserva straddles the line between Japanese and Italian. The menus playfully combine ingredients like calamari and yuzu into fritters or pollock roe and pasta in the signature mentaiko spaghetti with scallops and squid. 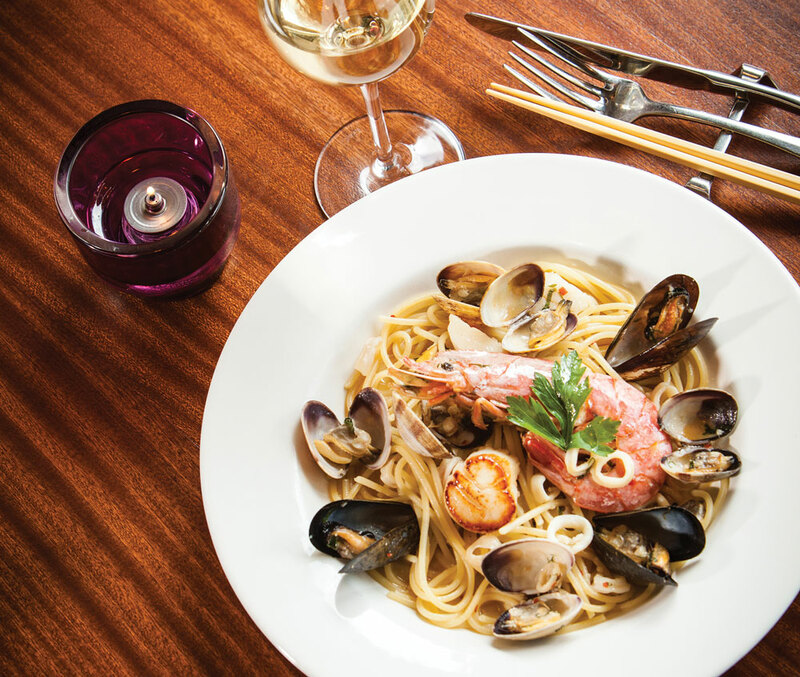 You can even expect Italian wine pairings with more traditional Japanese dishes. After all, owner Toshi Karino was formerly the wine director for the Teatro Group. These two establishments are great examples of how to do fusion right.